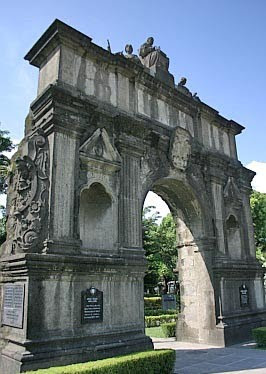 University of Santo Tomas "ARCH of the Centuries" is the only survivor of the original UST campus in Intramuros during WWII, relocated piece by piece to its present location at UST campus. 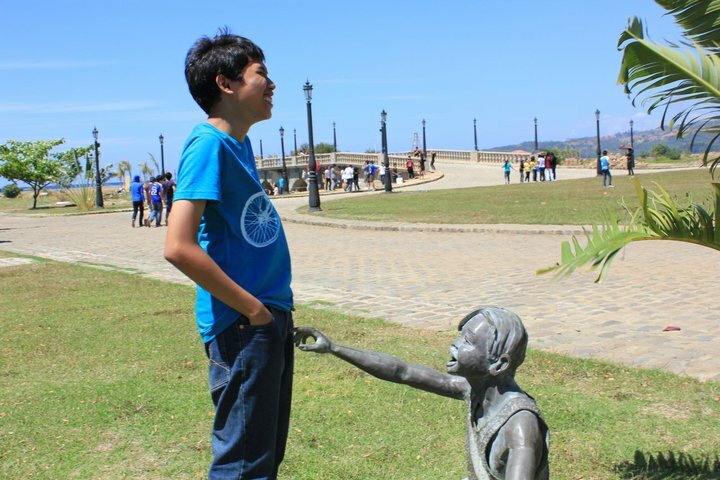 The present structure puts together back to back. The original faces UST main building and the replica faces Espana. Life of St. Thomas Aquinas, an Italian priest of Dominican Order and the Patron Saint of the university and other Catholic schools, is depicted on the sides of the arch. Also present are Markers of Dr. Jose Rizal (National Hero) and Manuel L. Quezon, former Presidentof the Philippines, both alumni of UST. UST was founded on April 1611, is the first university in the Philippines and Asia.